There was a boat accident near San Pedro Town sometime around 3:10PM today, Tuesday, February 21st. 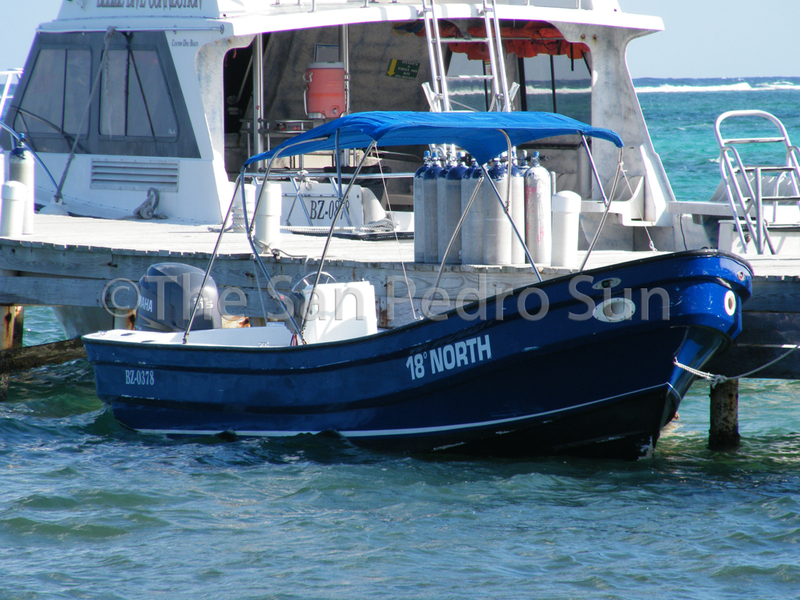 The Belize Port Authority (BPA) has confirmed that the two vessels, namely Thanks A lot Two owned by a local dive company and another vessel 18 Degrees North owned by Robert Schultz collided at sea in front of the San Pedro Belize Tourism Board office. While the extent of damage to the boats is unknown at this time, the collision injured two of the four American tourists on board 18 Degrees North. The injured people were taken to the Los Pinos Clinic for medical attention. According to the BPA, one female passenger sustained injuries to the face and three of her teeth were knocked out as a result of the impact. Her husband, on the other hand, received injuries to the knee and hip. 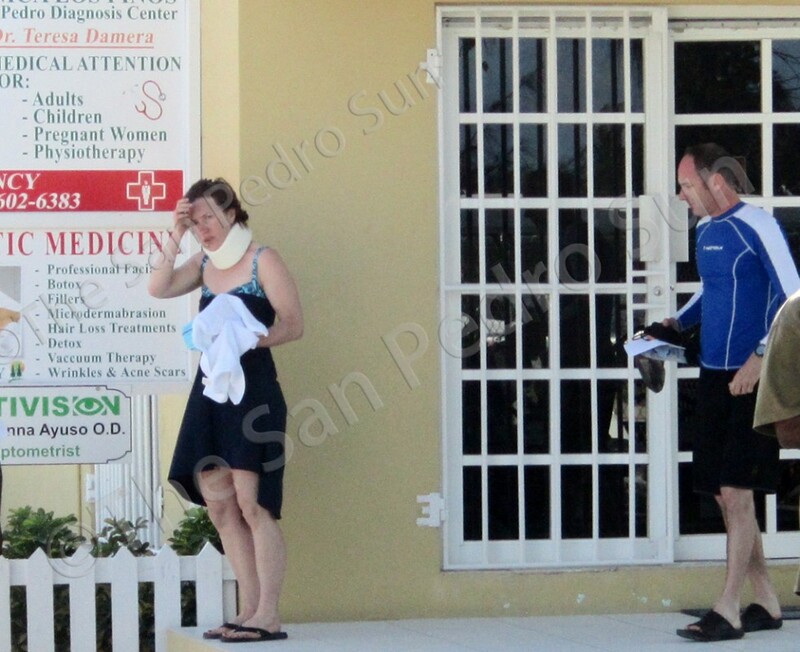 When The San Pedro Sun arrived at the clinic, the injured woman was seen wearing a neck brace when leaving the clinic. Preliminary report is that both vessels, 25 feet in size, were travelling in opposite directions when they collide some 500 feet from the shoreline. Thanks A Lot Two was being captained by Kebin Pech while 18 Degrees North was captained by Ernesto Bernadez. The boat licenses from both captains are being withheld while the vessels are under detention pending the outcome of the BPA’s investigation.